Allied Power Group has a 133,000 sq. ft. state of the art facility located in Houston, TX and specializes in the high quality repair of industrial gas and steam turbine engine components. Specifically, hot gas path and combustion components from GE, Westinghouse and other leading OEMs. Design, Manufacturing and Installation of the world wide most efficient thermal Insulation System for all Gas- and Steam Turbines. ARNOLD guarantees that its single layer Insulation System can be reused for 15 cycles without decreasing of its efficiency as well as many more advantages. Doosan Turbomachinery Services was founded in 1996, initially offering gas turbine component repair services. Over the past decade we have invested tens of millions of dollars into expanding our capabilities, offering additional services and hiring the best personnel in the industry to become a truly independent full-service gas and steam turbine repair facility. Our state of the art facility in La Porte can handle all your rotating equipment overhaul needs. Mitsubishi Hitachi Power Systems Americas, Inc provides service solutions to maximize the availability and reliability for power providers. With extensive design knowledge and manufacturing experience with Westinghouse gas turbines, MHPSA understands the design philosophy of this technology and has the know-how to provide OEM equivalent services that include comprehensive services on GT parts, repairs, and field service. This also includes GT upgrades, extended interval GT parts and TFA services. National Electric Coil is a leader in the repair and upgrade services for large generators, exciters and other rotating electric equipment. NEC manufactures high-voltage stator coils/bars and turbogenerator rotor windings. 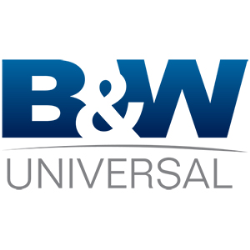 In addition, NEC has both engineering design and field services for rewinds, retrofits and major overhauls. Both NEC facilities, in Columbus, Ohio and Brownsville, Texas, operate with ISO 9001:2000 certified quality management systems. Nexgen is a premier gas turbine component overhaul facility located near Houston’s George Bush Intercontinental Airport. Our brand-new state of the art facility is over 60,000 square feet and allows us to expand capabilities to a full range of turbine engine repairs. Nexgen’s expertise in the industry provides our customers best in class engineering, repair and customer service. We provide the personalized service, competitive prices and flexibility our customers deserve with the quality they expect. We are committed to meeting your requirements each and every time you entrust us with your business. engineering concept to installation and commissioning. Our Specialty is manufacturing precision hardware and consumable items for Gas and Steam Turbines. ROMCO works with Users, Repair Facilities, Engineering Firms & OEM’s. 501D5/D5A Blade Ring and Interstage Seal rebuild hardware is made here and in-stock for your repair and outage needs. Call us or visit http://romco.net/501d5_parts_catalog_pg1.php to see additional items ROMCO manufactures: Fuel Supply and Combustion Seal items, Compressor Section Hardware, Rotor Locking hardware, Blade Hardware etc. ROMCO is a 40 year Houston, Texas domestic manufacturer of precision hardware and close tolerance components related to Power Generation, Oil Exploration and production as well as being an Aerospace and Military supplier, and replacement parts manufacturer for major breweries and food processors across the United States. Siemens Energy works across all business and technology interfaces with an integrated portfolio of products, solutions and services. From oil and gas production to power generation and from transmission to distribution; we’re leading the way to a new electricity era – worldwide. We offer a variety of products/services specifically for the 501D5-D5A fleet. Please contact your local Siemens sales district office for additional information. 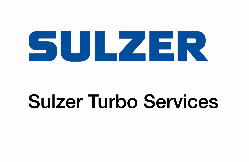 Sulzer Turbo Service Houston, Inc.
Sulzer is the leading service provider for rotating equipment. The Houston Service Center, located in La Porte, Texas, is our largest facility and specializes in high-quality, cost-effective, customized solutions for maintenance and repairs of all makes and models of turbomachinery. We help you keep your equipment operating at peak efficiency. Every solution is unique and tailored to the equipment needs of each application. Trinity Turbine Technology, LP provides innovative, reliable and cost effective component repair and coating solutions for industrial gas turbine operators worldwide. We have captured the entire repair and coating process “in house” including cleaning, inspection, heat treatment, welding, machining and thermal spray coating. 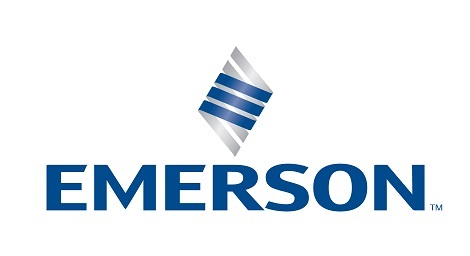 This facilitates streamlined processing enabling superior Quality Control, improved reliability, quicker response and minimized costs when compared to our competition. Look to Trinity Turbine Technology, LP first when you need your components refurbished right the first time, on time at a price you can afford. TRS Global specializes in advanced Gas-Turbine component repairs for heavy industrial, Aeroderivative and aircraft turbines. We offer High quality, cost effective repair pricing, turn times with exceptional customer service. Our 55,000Sq Ft purpose built repair shop is located in Houston, Texas where we have been servicing our customers across the globe for over 20 years.